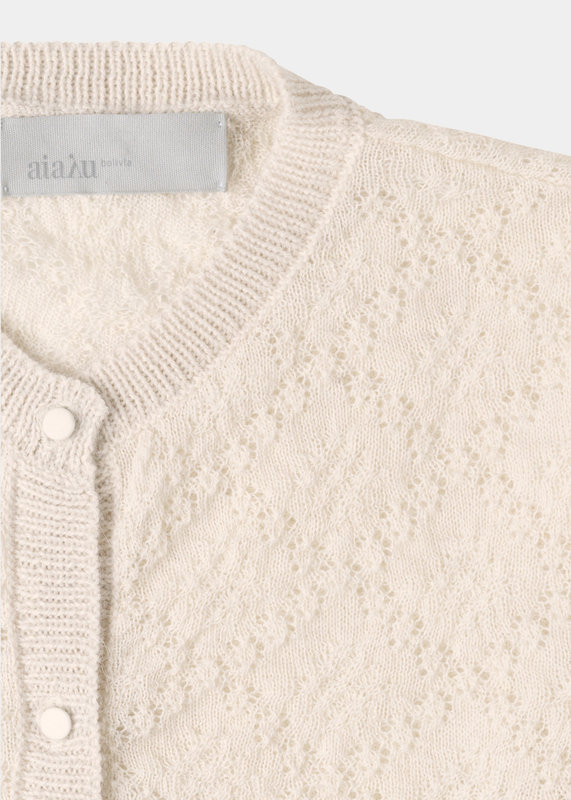 LIBERIA is a luxurious cardigan in a delicate lace knit with rib borders. 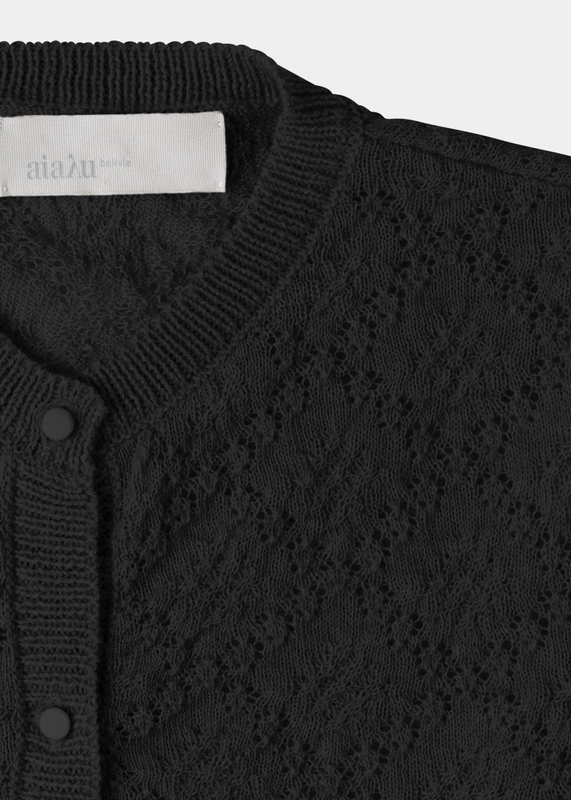 Full tone-in-tone button opening in front, with placket knitted in a thicker yarn. 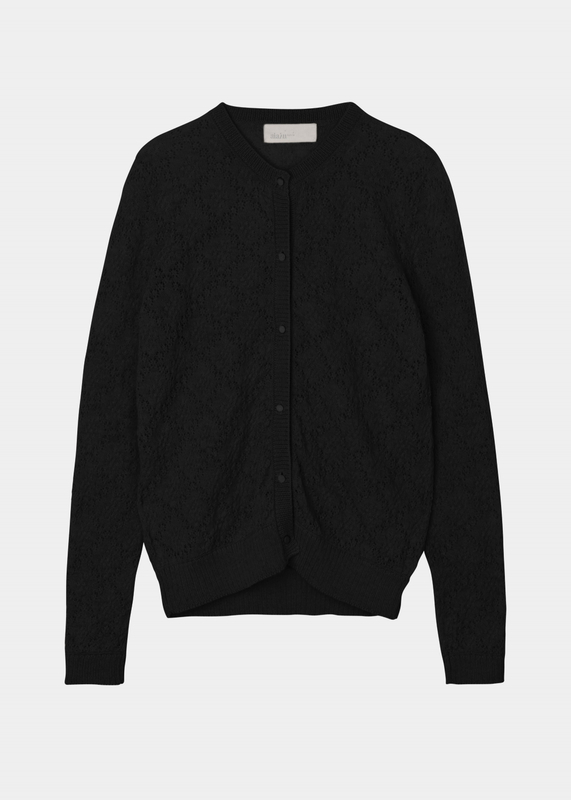 With its romantic and intricate knit pattern, LIBERIA adds effortless elegance to any outfit, and is ideal for throwing on over your favourite top. 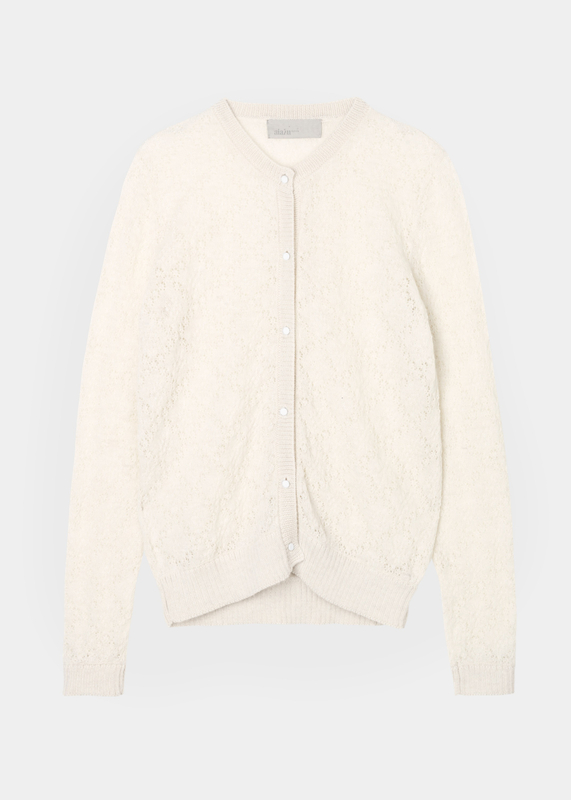 Made from 100 % cashllama wool. Soft and luxurious.